"We've been reliant on the same industrial platforms for almost a century, and it leaves a lot of room for innovation." 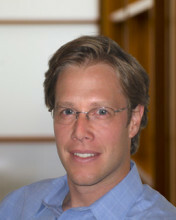 Interview with Will Coleman, Mohr Davidow Ventures. We've seen many investors investing as an extension of what they know and are good at: solar investing by semiconductor folks; biomass by biotech; energy management from software investors. But it's complicated. We're competing with hundreds of years of development and cost reductions in the energy sector. In some ways in the U.S. we're a victim of our own success. We have a huge amount of legacy infrastructure in this country which can hold us back. China, India and others are able to leapfrog because they don't have the same sunk costs. Investors and entrepreneurs need to contend with pretty efficient incumbents and a whole new set of players who control the distribution channels and manage the networks. In most cases the successful ventures will figure out how to engage with these players as customers, investors, and partners. How do you see public-private financing such as CEDA? The Clean Energy Deployment Administration could offer enormous public benefits. Private capital will invest in solutions that solve the macro problems: climate change, oil dependence, and energy security. But we [Venture Capital] have to balance risk and return and those returns don't factor in the public benefits. Venture capital has always been fairly good at investing in new technologies, but to prove some of the more industrial cleantechnologies at scale often outstrips the capacity of venture capital. So we must attract private capital into these industrial value chains early. Both sides of the aisle recognize we are at a point of industrial transition, and government must play a role of some kind. There's an artificial cost base in incumbent technologies, so there is a need to help these newer technologies get to scale. It's not that we need this forever. It's that we really need a vehicle today that gives investors a reliable way to bridge the funding gap, and ultimately helps attract private institutions to fill that gap themselves. We like the senate language better because the structure is more focused on innovation. I think both sides understand this is an important program, and must enable the government to be flexible and employ a number of different approaches. The Senate version empowers CEDA to take a portfolio approach and manage risk over time, which I think is good. In the House bill, CEDA has to undergo the annual appropriation process, which runs the risk of politicizing every investment decision in isolation and before we have a chance to see the portfolio mature. This will likely skew investments toward less risky and less needy technologies. The thing about CEDA is that the devil is in the details. It needs to complement rather than compete with private capital. CEDA needs to be focused on filling the funding gaps that exist for new technologies first and foremost. This is really at the 1ST or 2ND commercial plant phase. We'd like CEDA to be self sustaining. But for CEDA to be useful it has to take on risk that private capital won't and it has to be given the latitude to do that. The classical venture model is that you expect that 20% will return 80% of the fund, and 30-40% will fail. For CEDA if the loss rate exceeds 10% then they want to re-evaluate. The rate doesn't have to be as high as for venture capital, but we have to be ready to accept some failures. We don't want to see CEDA have such aggressive financial demands that it gets watered down, and doesn't support the new technologies that are most needed. At Mohr Davidow Ventures, Will Coleman brings a background in energy-related technology, development, and policy. He focuses on cleantech investments, and supports MDV portfolio companies. He is on the Venture Fund Advisory Board for the ASE, which operates the National Renewable Energy Laboratory, and is on the advisory committee for the California Energy Commission's Alternative and Renewable Fuel and Vehicle Technology Program, an $840m fund to stimulate deployment of low carbon transportation technologies. Will has also served on the advisory committee for the Western Governors Association.